Probably my favorite album cover for a Jethro Tull album. Great iconography, illustration, and stained glass effect. Something I’ve been after for years. eBay has failed me in procuring. 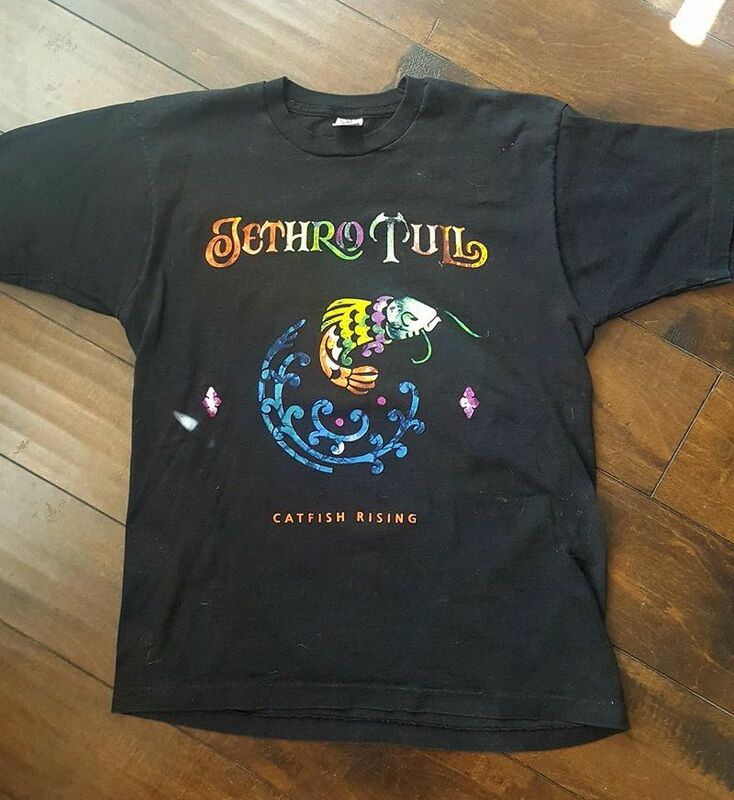 I am a member of a Facebook Jethro Tull group, and yesterday I just asked if anyone had one to sell. Thirty minutes later I had someone willing to sell theirs. So incoming from California is a great shirt in nice shape. I didn’t pay very much for it which surprised me to great length.